The Apple Watch reveal back in September was big on excitement, but short on details. 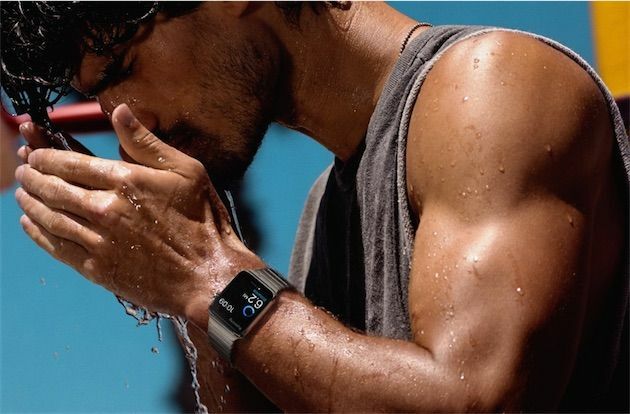 Among those things that Apple failed to mention was whether or not Cupertino’s new smartwatch will be able to withstand liquids — making it suitable for, say, swimming or washing the dishes. As much as we respect Pogue, you’d have to say that — when it comes to Apple advice — Cook trumps Pogue! The Apple CEO also answered a few other questions in what sounds like an interesting session. Among them was a bit more clarification on the Apple Watch’s battery life, with Cook saying he removes the device to recharge overnight — something we’ve suspected based on previous reports. Cook talked about some of the possible applications of the Apple Watch, including monitoring auctions on eBay — or else accessing hotel rooms in a way similar to existing apps for the iPhone. Answering a question from a visually impaired employee, he said that the Apple Watch will have more accessibility features added over time, although it sounds like these features will be limited at first. Cook also spoke about his efforts to improve working conditions in China, and lamented the fact that the media often choose to paint Apple in a bad light in this regard. Cook said that Apple is trying to ensure that there is no abuse of employees on the supply chain, and that they work fairer numbers of hours. This entry was posted in iRumors and tagged Apple Watch, irumors, iRumorsnow. Bookmark the permalink. Apple Watch is ready for its closeup in fashion bible Vogue.